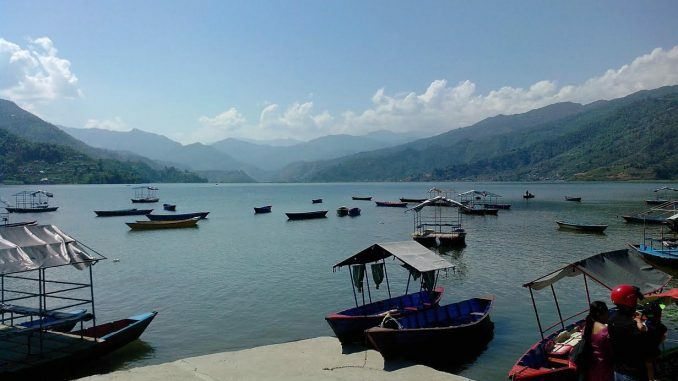 Recentfusion.com–Pokhara: Missing two youths following a boat capsized in Phewa Lake on Monday found dead on Thursday morning, informed District Police Office Kaski. The dead bodies were found nearby incident site before starting a fourth day’s search mission. Prateek Shrestha, 18, of Chakrapath Kathmandu and Alian KC, 23, of Basundhara Kathmandu had gone missing as a boat carrying 8 people on board overturned in the Phewa Lake. They all were coming to lakeside from Lake House Restaurant across the Phewa Lake before meeting the accident. 6 people including a boatwoman were rescued by a team of boatmen. The search operation of missing youths had been going since the accident day but the whereabouts of the missing was unknown as of today’s morning. It was learnt that the accident occurred as the passengers of overloaded boat were not wearing life jackets. The bodies of Shrestha and KC were taken to the Western Regional Hospital Pokhara for postmortem. The youths were here to travel the Pokhara.